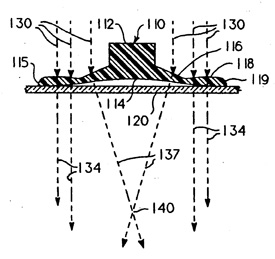 History and patents of suction cups granted. Suction cups in history and patents granted. 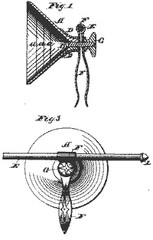 The first modern suction cup patents were issued by the United States Patent and Trademark Office during the 1860s. TC Roche was awarded U.S. Patent No. 52,748 in 1866 for a "Photographic Developer Dipping Stick." 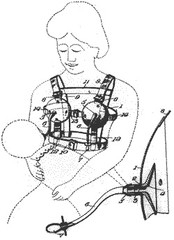 The patent discloses a primitive suction cup meant for handling photographic plates during developing procedures. Previously existing suction cups tended to focus light like a magnifying glass, resulting in scorched surfaces and colour fading. After years of extensive R&D and testing, Adams Manufacturing invented a groundbreaking new way to overcome this serious product limitation with suction cups using what they called Light Diffusing Rings. This trademarked technology eliminates the hot light focal points that are generated in intense sunlight—often causing damage to plastic, vinyl or textile interiors. To this day, Adams Manufacturing continues to integrate this cutting-edge technology into all of their suction cups. .
To view Adams Suction Cups by type or size, please visit our home page for our full range.